If you feel like you should keep your smile hidden, you should visit us for dental cosmetic services. We can help you become less embarrassed by the appearance of your teeth. Our dental cosmetic services can restore your attractive smile and give you your confidence back. To learn more about our extensive range of safe and simple dental cosmetic improvement solutions, continue reading. We can correct your discolored or misshapen teeth, and we can even replace your missing teeth for a complete smile makeover. Traditionally, most dental cosmetic improvements contained unsightly metals that may have restored, but not improve your teeth. The tooth-colored restorations we provide are normally metal-free and will look and feel natural. They will also be resilient to staining. We use high-quality materials and technologically advanced techniques that will produce beautiful results and lasting changes. If a patient has uneven, discolored, chipped, or oddly shaped teeth, our dental veneers are a great option to consider for cosmetic improvement. Veneers provide patients with aesthetically pleasing coverage of these flaws. Our dental cosmetic veneers are wafer-thin shells bonded to the front of each tooth for a complete smile improvement. Our dental veneers are also stain-resistant, so patients will experience long-lasting results. Dental bonding is a great dental cosmetic service for minor dental flaws. Bonding is made to perfectly match the patient’s teeth and can cover up chips and stains. When we apply the bonding, it will be in a pliable form we can sculpt into the correct shape. We will polish the bonding to provide a natural appearance and texture similar to that of regular teeth. Once in the correct place, we will use a high-intensity light to cure dental bonding into a hard finish that will be durable like the surrounding teeth. 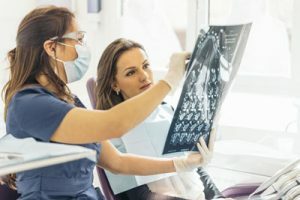 If a patient has unsightly silver amalgam fillings or currently needs fillings to replace decay, we can provide more attractive tooth-colored fillings. These fillings are more natural-looking and do not attract attention to damaged teeth. Our composite resin fillings will last for years and are strong and durable. They can reinforce weakened teeth and provide protection from future decay or damage. If a patient has a stained smile due to tobacco use, coffee, soda, tea, or other factors, we can rejuvenate teeth with whitening dental cosmetic services. The brilliant shine that results from our whitening services will produce a youthful and vital appearance. The patient will have different teeth whitening options and different shades to choose from to match the surrounding teeth. These are the basic dental cosmetic services we provide if you are looking for teeth improvements. We can combine two or more to produce a complete smile makeover that will give you a more attractive appearance and more confidence. To learn more, visit or call Kirkland Dental Excellence at (425) 365-0828.